Do pump spells affect power and toughness? 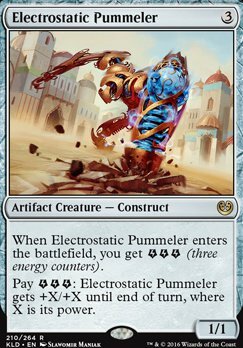 Pay : Electrostatic Pummeler gets +X/+X until the end of turn, where X is its power. Also a note on terminology, you trigger Electrostatic Pummeler's ability by making it enter the battlefield, which gains you 3 energy. You activate Electrostatic Pummeler's ability by paying 3 energy, which gives it +X/+X. If I attach Illusionist's Bracers to Electrostatic Pummeler and trigger Pummeler's ability, will the copy of that ability generated from Bracers use the power of the creature before the ability is triggered, or will it use the power that has been modified by the original triggering of Pummeler's ability? 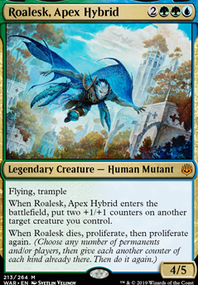 As an example, if I attach Bracers and then use Pummeler's ability when the creature is a 1/1, will it become a 3/3 or a 4/4? Thanks for sharing the link, Ultra_Magnus (I also have problems sharing links to non-TappedOut domains). 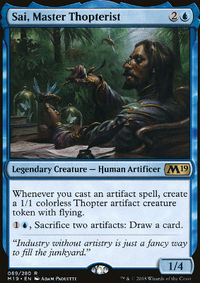 I had not seen that decklist, but it tracks with the other lists from back in the Winter before Pummeler disappeared; both Arcane Flight and Llanowar Elves are a new look. The list you shared appears to be slightly more all-in on the Pummeler; I've been having amazing success with my build which is almost a mid-range Hadana's Climb Flip deck now. I love Llanowar Elves, but I don't necessarily want to ramp into a Pummeler on turn 2, since the opponent is very likely to have a handful of removal. I have been playing this deck again with devastating results. I am working on an updated write-up of my results and sideboard. The short version is I've only lost one round total in 5 consecutive events, including beating mono-Red (or BR) four times in that span. I have found Goblin Chainwhirler to be a non-issue vs this deck, or at least as inconsequential as any other red burn spell against Electrostatic Pummeler. Yeah, I was debating on those two. Electrostatic Pummeler just sits there most of the time, but poses a threat. And, Lightning Runner is a solid closer. I'll switch them out with with Aethergeode Miner & Greenbelt Rampager, as those two are more cute in theory than useful in practice. Like the deck! Wouldn't Electrostatic Pummeler be great here? Especially if you can give it trample. 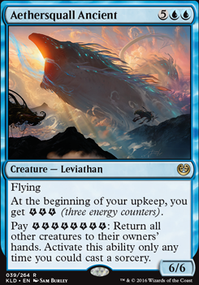 I took the updated deck with Untamed Kavu to my LGS's Standard Showdown last night and bull-dozed my way to a 4-0 victory and 1st place out of 16 competitors. I played against two notionally tier-one decks (mono-red and UW Approach) and two tier-two competitive decks (WB knights and mono-blue Djinn). The newer players were caught completely off-guard when I fired off Pummelers for the win. First round was against mono-red. Fanatical Firebrand and Goblin Chainwhirler kept my Pummelers from doing anything. In game 1, I had a handful of Sage of Shaila's Claim and drew into two Bristling Hydra, which allowed me to stabilize against his board of 2x Soul-Scar Mage, Earthshaker Khenra, and Hazoret the Fervent. I eventually found Hadana's Climb Flip and sent one kicked Untamed Kavu over their heads as a 12/12 flying, vigilance, trample. For Games 2 and 3, I sideboarded out 3x Electrostatic Pummeler since he had so many easy answers with burn spells, Fanatical Firebrand, and Goblin Chainwhirler. I brought in 3x Greenbelt Rampager in their place, but did not see an elephant through games 2 and 3. In game 2, the opponent got land screwed and I beat him down with a Cub, Kavu, and Hydra. He was stuck on three lands; he revealed his hand after I killed him to show his Chandra, Torch of Defiance , 2x Verix Bladewing, and 1x Glorybringer. Second round was against a (newish) player with WB knights. The deck had a full 4x History of Benalia, but I did not see any Lyra Dawnbringer. In Game 1, he got out the combo of Knight of Grace + Knight of Malice , which made blocking very difficult. I played out several Sage of Shaila's Claim, a few other blockers, Hadana's Climb Flip, and one Electrostatic Pummeler. I managed to survive History of Benalia's third chapter while he had 2x Benalish Marshal, 2x Knight of Grace, 1x Knight of Malice, and the two knight tokens by chump blocking everything I could to leave my Pummeler alive. I was down to 2 life and hit him on the crack back with Electrostatic Pummeler + Larger Than Life for 54 damage, which he did not see coming. Game 2 was another easy win as I matched his knights with chump blockers, and kicked a Kavu into a flipped Hadana's Climb Flip again. Round 3 was a good player running a mono-blue Djinn/Throne of the God-Pharaoh deck. He had a lot of 1 power flyers and unblockables, but no answer to my Pummelers. In both Games 1 and 2, I managed to field 2x Electrostatic Pummeler while holding 2x Larger Than Life. I played one Larger Than Life on each robot, then swung in with both to play around a possible Unsummon. I pumped the unblocked Pummeler for lethal. 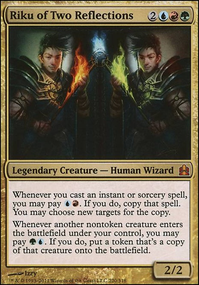 Round 4 was a typical UW Approach running both Karn, Scion of Urza and Teferi, Hero of Dominaria. The deck and player were both very good. I over-played my creatures in Game 1 as I was trying to race him landing his planeswalkers or Lyra Dawnbringer. He Fumigate'd, leaving me holding a couple Blossoming Defense but no creatures. He eventually double-Approached for the win. I sideboarded in 2x Negate to counter Approach, but I did not see Negate or Approach of the Second Sun in Games 2 or 3. In Game 2, I landed a turn 3 Cub, turn 4 Hadana's Climb, and turn 5 Hydra while playing around Censor and Syncopate and was able to kill Teferi when he played him. Flipped Hadana's Climb Flip, and finished him off with the Cub + Hydra. Game 3 was almost identical, just replace the Cub with a Kavu. Overall, I was surprised by the first place finish. I would have been happy with 2-2 when I saw my first opponent drop Fanatical Firebrand + Mountain . The mono-red match-up was very unlucky for my opponent, otherwise it could have easily run this deck over. The other three matches felt very fair, and my deck won by being bigger and faster than my opponents. I was drawing a good number of Blossoming Defense through out the night, saving my creatures from several Cast Out and Seal Away. Untamed Kavu worked great in the deck; I was never unhappy to see it. I played it several times on turn 2, and several times kicked. The Kavu works amazing with Hadana's Climb Flip, especially if the Kavu was kicked. This deck does not go wide very well. The vigilance was critical in a couple games to allow me to send the Kavu to attack with pump spell backup and have it available to block as well. Poaralion on Traxos and Fling ! I was thinking to make a dimir deck with Traxos, Scourge of Kroog but I didn't find anything funny enough to play. Blue and black miss something really punchy for Traxos imo.